If you’ve read the recent Vocate post on the seven steps to successfully finding a job after college, you know that a good career search starts with self-discovery. Because before you can find a fulfilling job that makes you happy (and pays the bills), you need to actually know what makes you happy. Am I inspired by the work I’ll be doing? Does this job align with my goals and bigger life aspirations? Will I be happy doing this job? Am I enthusiastic about the company’s mission? Do we share the same values? It is questions like these that guide you toward your dream job. However, they’re not the type of questions you ask in an interview or even with a mentor or advisor. They are questions you need to ask yourself. That’s why before you officially start applying to jobs and taking interviews, it’s so important you spend some time on personal discovery. But how much time, exactly? That completely depends on you. Some people already know what they want to do after graduation. They’ve had their career path mapped out since elementary school and are determined to make it happen. Others graduated with a general idea of what they want to accomplish (their goals and an overall vision for their life) but don’t know the exact job they want to pursue. No matter your stage of “readiness” for finding a career after college, it’s still a good idea to focus on self-discovery. Maybe it’s a day. Maybe it’s two days. It could be two weeks, or a month, or two months. Everyone’s going to progress along the journey at different rates. The important part is that you’re using the time wisely. 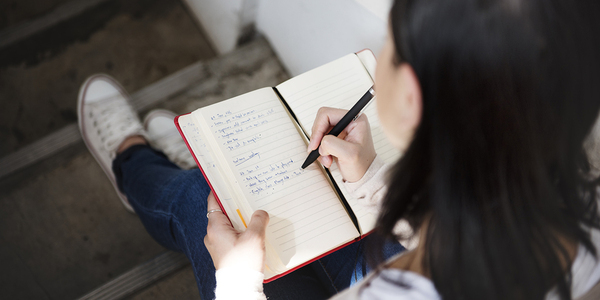 If you don’t know already, journaling has some big benefits. Admittedly, some people feel a little awkward sitting down with a pen, pad, and no real agenda. If that’s you, here are some topics to consider that might help get the juices flowing. The goal isn’t to write a polished essay about your goals and aspirations. No one reads this but you. What do I absolutely love to do? What am I better at than my friends? If I had to write a how-to book this year, what would it be about? What do I hope to be doing five months from today? What about five years? If I could model my career after one person, who would it be? Outside of friends and family, what’s the most important thing in the world to me? Each question is meant to dig into who you really are and what motivates you to be your best. Look for the common thread among your answers. Do you find yourself coming back to a trade or a creative field? What are the core values you’re expressing throughout your journaling? Then, once you’ve found some answers, move on to the next step. This can be happening while you’re journaling (and even at the start of your job search), but the point is to make a habit of reading books that inspire and motivate you. The Vocate team definitely recommends Mindset: The New Psychology of Success by Carol Dweck as a great starting point. We’ve written before about the power of a growth mindset and firmly believe it’s a critical aspect of finding a career after college for recent graduates. A growth mindset focuses on one crucial aspect of building a successful career, continuous learning. The more you learn, the more agile you are and the more diverse your skill set. That gives you the flexibility to take your career in any direction you see fit, which is exactly what you need in the early stages of your career. If you’re passionate about solving problems through app development, your skills might be a bit more cut and dried than if your passion was, say, writing poetry. In either situation, it’s good to go through an exercise that helps you uncover the skills behind your biggest passions. Q: What makes you good at writing poetry? A: I have a way with words. Q: How do you have “a way with words”? A: I can capture a moment on the page. A: I write poignant, succinct sentences. You can see how that line of questioning uncovered a core skill that makes someone good at writing poetry, namely, the ability to write well in limited words. That’s a skill that could translate into the job market in marketing roles or with social media. Once you’ve figured out what motivates you and the innate skills you’ve developed through your passions, it’s time to put those into an actual job description. Take some time to iron out exactly what you want out of your first job after college. What are you doing every day? What does your team look like? What does career progression look like? Build out a “job description” of sorts that walks through your dream job piece-by-piece. Once you have an idea of what you want to be doing, it’s time to give Vocate a try. Vocate helps recent graduates find their first job or internship after graduation by matching you, your interests, and goals with companies looking to hire entry-level talent. You’ll complete one application and companies will start reaching out to you about exciting opportunities that align with your skills and passions. Sign up for Vocate today and leverage our tools to help you on your journey of personal discovery!